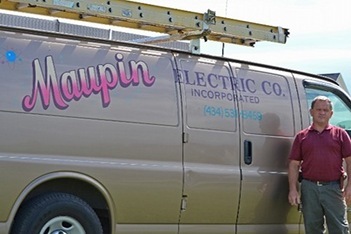 Looking For The Most Reliable Electrician In Lynchburg? Electrical contractor serving greater Lynchburg. Master electrician with over 35 years experience. Residential, commercial, & industrial. After 23 years of working for others in the electrical trade, I was given the opportunity to begin my own company when the employer I worked for decided it was time to retire. As a Master Electrician, I have the ability to work on a wide variety of electrical projects. Click below to see the residential, commercial, & industrial electrical services we provide. We have many happy customers we have served throughout the years. 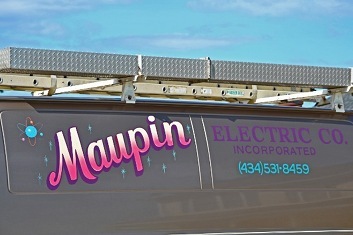 Take a look at what previous customers have to say about their experience with Maupin Electric. Contact us today for all your residential, commercial and industrial electrical needs in Lynchburg & Central Virginia. We are still a small company, which we believe helps us to better care for the needs of our customers, ensuring them a personal touch. As we venture into yet another year of business, we continue to look forward to many more years of personal and quality service to our customers.